Retail Price $165 US dollars. 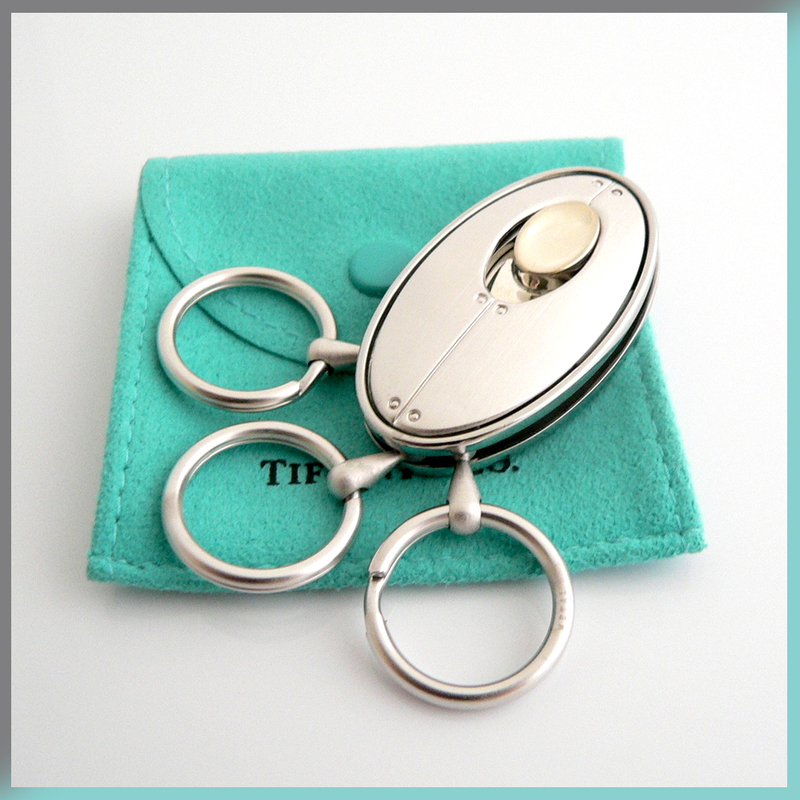 It came with three removable keyrings that gives the user flexibility in organizing his/her keys, I have used mine for many years and have never had any problems with its ease of use. The back is stamped or engraved Streamerica 2002 Tiffany & Co. .925. 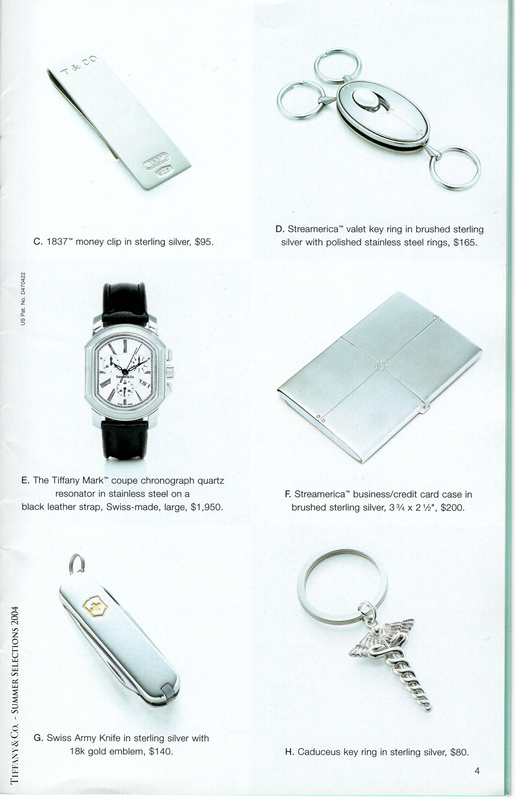 One of the fiew pages from Tiffany & Co. Blue catalogs that shows Tiffany & and Co. Streamerica Sterling Silver .925 Collection from 2004: the valet key ring and the business/credit card case.